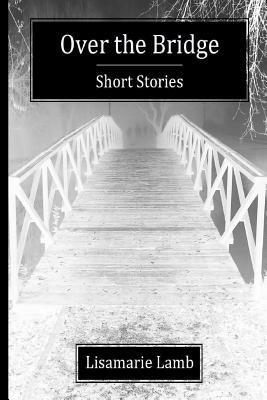 A collection of sixteen short stories about the eerie, ethereal, macabre and ghastly. The Plot Thickens: Estranged married couple Julian and Diane have a common, sinister bond after all. Pretty: Vanity trumps perception in eye of the beholder of one young woman’s view. Cat Got Your Tongue: Margaret’s bereavement becomes an appetite for ultimate destruction. Say Cheese: Macabre circumstances develop as a result of purchasing and old camera. Medicine Man: After a barroom quarrel a native American prescribes enlightenment. An Average of 41 a Year: A couple’s leap of faith has two sides to the coin. Tyger Tyger: Maeve’s imagination may be too much for her grandparents to handle. Travelling West: Janet has an appetite for outlandish, idle chatter. No Crying Over Spilled Blood: Evelyn discovers there’s often something more ominous at the scene of the crime. Soft Snowflakes: A tale of lost love for all the seasons. These are a mere sample of the collection of short stories composed by UK author Lisamarie Lamb. A total of sixteen tales fill the pages within this anthology, providing a little something for everyone’s dark desires. Each excerpt is as equally gripping and compelling as the next. The author makes it abundantly known her influences in the creative writing process. As a child young Lisamarie would avidly listen in pure enchantment as her parents would recite one chilling story after another. No one can argue she’s done her parents proud as the stories within Over The Bridge are reminiscent of the late great Ray Bradbury with just a hint of a classic Alfred Hitchcock twist. It’s often my experience as a novel critic that authors, especially of the novice nature, get far too wrapped up in vanity like prose. No question it’s an easy pitfall to get enticed into. Inexperienced writers tend to rely too heavily upon shock value, glitz and glamour, or more aptly in our genre blood and gore. The romance of the story telling process is dramatically compromised as a result and we, as the reader are ultimately dissatisfied as a result. The author seems to have a keen sense of this getting back to basics and focusing on a good old fashion story-telling. Lamb’s works are best recited before a blazing campfire or perhaps within a remote forest, embedded in a dimly lit tent surrounding by antsy youths. The end result is one in the same, a creepy, scary tale that resonates within the reader long after the fact. Each of the stories is brief, concise and easily digested. The overall presentation is a mere 87 pages, ideal for an early morning commute, waiting rooms of doctors, dentists or if you so dare, a few minutes prior to slumber. Somehow this critic believes should the latter option be chosen, the bedside lamp should blaze bright in its halogen luminescence until the wee hours of the morning. I was fortunate enough to read another of Dark Hall Press’s release in Exoskeleton by Shane Sadler. The publisher is a relatively new to the industry. Where they lack in experience they evidently, by far make up for immeasurable talent. I highly anticipate another encounter with such a gifted story telling prowess; a must read for fans of short fiction with unexpected twists and turns. Thank you very much for the comment. We certainly try to make visiting our site a pleasure for all of our readers. As for the process for writing the review, I’ll pass on your comment to our reviewer. Have a great day!